Icy mornings, endless blankets of snow, short days, long underwear - winter has undeniably arrived in the prairies. For some of us, the drop in temperature is welcome relief from the sweltering heat of summer; for others we are burrowing into our scarves and biding our time until spring. 1. Hydrate inside and out. Common winter ailments due to dryness (e.g. chapped lips, dry skin and constipation) can be mitigated by staying hydrated from within and without. Soups and stews will help keep the inner pipes a-flowing, and a little extra dollop of ghee (clarified butter) will encourage a steady elimination situation as well. Drinking warm or room temperature water is preferred throughout all the seasons, but especially in winter. To keep your skin hydrated, indulging in an oil massage (try sesame or coconut oil) is a great way to nourish the skin and create a barrier to the season’s cold winds. Just a small oil application everyday will make a difference. Don’t forget to rub a little oil up in your nostrils - there’s skin up there too! 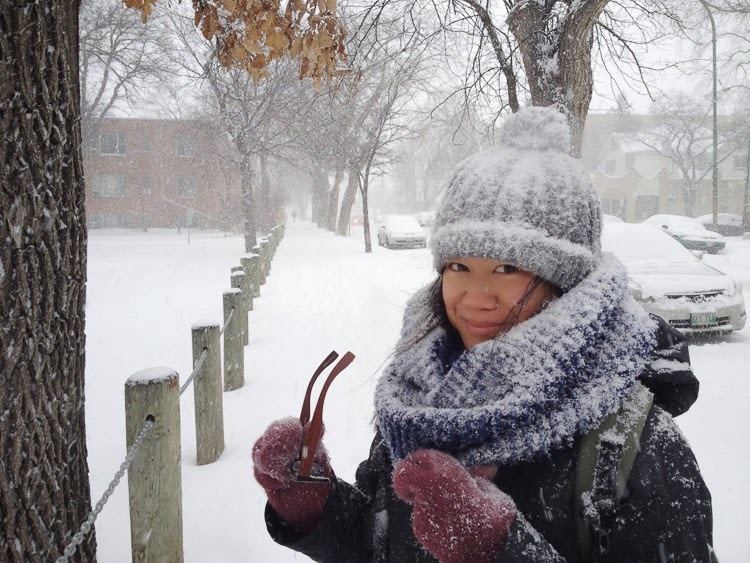 The cold temperatures can leave us feeling lethargic, heavy and depressed - so staying connected to family and friends will help keep our steps light as we prance through the snowbound streets. Besides, giggling is the best way to warm the body up! 3. Eat warm, nourishing foods. According to Ayurveda, cooked foods are easier to digest, and eating warm food is ideal in the winter. Start your day off with something warm, such as oatmeal or barley soup, to get your digestive fire going. Heating, pungent spices are perfect for this time of year, so try experimenting with ginger, black pepper, cayenne, or cinnamon in your next kitchen adventure. A yummy non-caffeinated hot beverage is fresh ginger slices steeped in hot water with a good dollop of unpasteurized honey stirred in. The prevalence of colds and flus is due to the season’s heavy quality, so keeping our internal fire alight will help burn off any toxins that dare to linger in our bodies. Besides a warming diet, partaking in activities that build heat is the best defense. The practice of yoga will inspire heat from within, whether it is practised in a heated room or not. 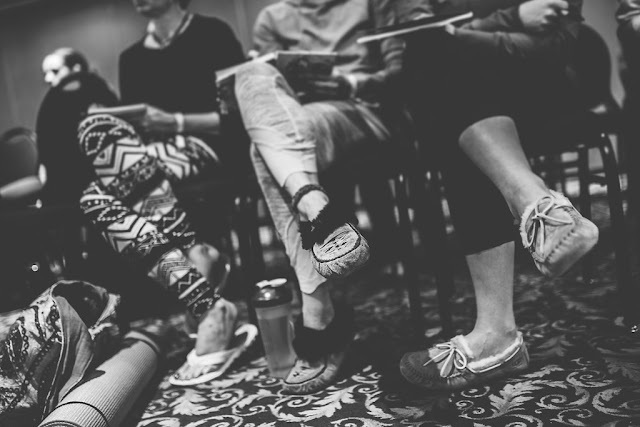 A brisk trot along the river will also do wonders for keeping your body and mind happy - and if you bring a friend and a hot beverage, you’ll be invincible! Of course, make sure you bundle up when you go outside, ensuring that your neck , head and ears are covered. Don’t think you look good in snowpants? Well remember that it is your inner beauty that really matters anyway. Kidding! Not really! Winter is when Mother Nature takes a rest and the growth of beings in her charge slows down, which can be a little depressing and gloomy. Remind yourself that not all is lost and discover the joy of creating something with your own hands, whether it is a handknit scarf or a printed tea towel. 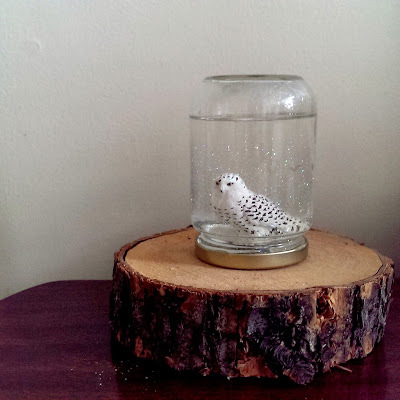 In all seriousness, the quiet tone of winter is conducive to puttering around at home, so take advantage of this introspective time to recharge and reflect...and maybe make your own snow globe. 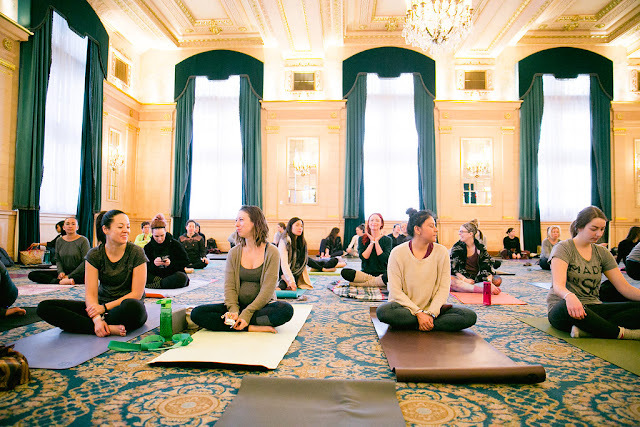 If you want to learn more about Ayurveda, the sister science of yoga, sing up for Adrienne's Ayurveda workshop on Sunday, January 21, 2018 at SNOWFLAKE winter wellness festival at the Fort Garry Hotel -- single workshop passes now available!